Rosacea is a poorly understood skin condition that affects the face. Not many people actually know they have rosacea, and it is often disregarded. From rashes to permanent redness, here are a series of answers to frequently asked questions surrounding rosacea. It’s a facial rash that mainly affects fair skinned people over the age of 30. Although it’s more common in women, the condition is more severe on men. In many cases, the severity has a tendency to to come and go in cycles. According to the British Association of Dermatologists, the chronic condition tends to “affect the cheeks, forehead, chin and nose, and is characterised by flushing and redness, dilated blood vessels, small red bumps and pus-filled spots (sometimes these may only be visible with a magnifying glass). There may also be uncomfortable inflammation of the surface of the eyes and eyelids. There are different types of rosacea, some more severe than others. You’ll be able to know if you have it by spotting flushed cheeks, redness and visible blood vessels. You may even have acne-like breakouts and some swelling, or in some more severe cases – your skin may thicken and feel bumpy. It can also affect the eyes and leave them red and irritated. They may swell and look like a sty, which is why some people overlook rosacea. Rosacea is often diagnosed by appearance, so consult your GP or a dermatologist if you think you may have it. No, but you can manage it, depending on the severity of your condition. 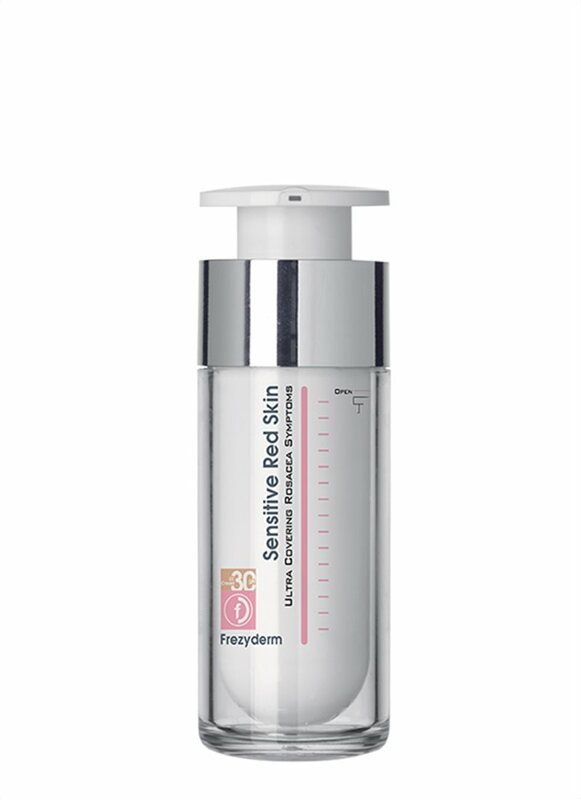 Our Sensitive Red Skin Facial Cream contains active ingredients that reduce the appearance of redness, spider veins and inflammation. And if you’re after more coverage, there’s our edition of the facial cream. Both creams contain nourishing algae that soothe the skin and prevent inflammation. There are long-term and effective treatments available for more severe conditions. As there are no direct causes of rosacea, sunlight exposure, stress, hot drinks, caffeine, alcohol, spicy food, and exercise are known factors that make rosacea worse. According to the NHS, rosacea is estimated to affect up to one in 10 people in northern Europe. If you feel you are one these, please feel free to request a sample to see how we can help you. 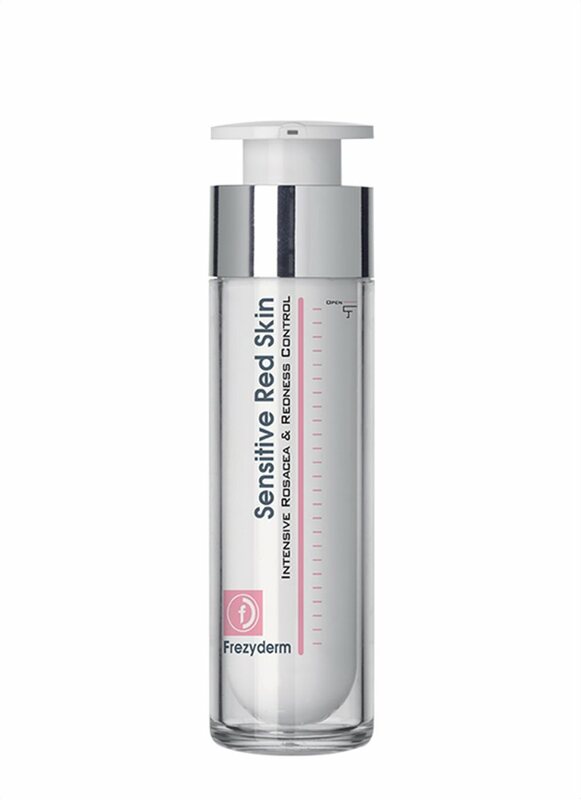 Hi Rose, please email info@frezyderm.co.uk for your sample! I heard from a friend that mild face wash is pretty good, is there any way that I can try the sample or any shop that selling this? Thanks. Frequent redness on the chest area which resembles sunburn. Hi Brenda, the product is suitable for irritated cream. If you’re unsure about what this could be please see a dermatologist before requesting a sample. Hi Lalita, send an email request over to info@frezyderm.co.uk with your address and we’ll post one out to you. Hi Debbie, we’ve sent out some samples for you today. Keep your eyes peeled! Hi Kirsty. You may send your request and address to info@frezyderm.co.uk to check availability of the samples requested. Hi Martin, please email info@frezyderm.co.uk with your request and address and we’ll get that sorted for you. Please get in touch at info@frezyderm.co.uk for a sample to see for yourself! Hi Teri. You may send your request and address to info@frezyderm.co.uk to check availability of the samples requested. Hi Tara. You may send your request and address to info@frezyderm.co.uk to check availability of the samples requested. Hi Jo. You may send your request and address to info@frezyderm.co.uk to check availability of the samples requested.